The Midwest Museum of American Art celebrates its 23rd Anniversary with the continuation of the exhibition of the largest private collection of artwork by American women active during the years 1850 to 1930. This important collection has redirected scholary study of women artists in America by rediscovering the important contributions they have made to the nation’s cultural growth. Every artist here has a story and every one is significant to our history. Almost all of thes women were involved in teaching either privately or in a variety of schools, and were significant influences in developing attitudeds and acceptance of new art styles in their respective regions. The Midwest Museum Staff Trustees wish to thank the GENESIS Program for the partial funding of this exhibition. This exhibition of over 50 paintings, sculptures, and objects is the third in 23 years that the Midwest Museum has mounted to explore the world of Haitian art. The first exhibit in 1980 was organized and circulated by the Smithsonian Insititution. That exhibit unveiled the preeminent masters of Haitian painting, all of which are represented in the current exhibit from the private collection of Naomi and Arlin Hunsberger of Goshen, Indiana. The Hunsbergers’ relation with the country and its people extends beyond collecting art and into a personal journey of enlightenment and service. Their first encounter with this Caribbean culture was in 1962 and subsequently, with only brief stints away, it continued for a total of 19 years till 1997 when Arlin Hunsberger retired as Haiti Country Director for the Pan American Development Foundation. PADF was responsible for instituting an Agroforestry Productive Land Use Systems project involving tree planting, soil and water conservation and crop improvement programs throughout the country. It was throughout this long period of living in Haiti that the Hunsbergers and their children would meet and embrace the many artists who now have received international recognition. There are few countries where the visual arts are woven as tightly through the fabric of life as in Haiti. Haiti is traditionally rich in ritual art, decorated everyday objects, and paintings on buildings and vehicles. Since 1944 and the opening of the Centre d’Art Haitien by California painter, DeWitt Peters, the contry has been the scene of vigorous artistic activity sparked by artisits without formal training. The rhythms of life in Haiti are reflected in the Hunsberger collection. Subjects range from the traditional depiction of historical events to everyday life and festivals. Voodoo, a religion which bridges the world of humans and the world of spirits, is a popular theme troughout this exhibition. Voodoo was created in Haiti by the joining of West and Central African religions. It encompasses music, dance, drama, and visual art. Join Us on Sunday afternoon, June 9 for a brilliant and colorful visual journey to Haiti and meet the collectors, Naomi and Arlin Hunsberger. The Midwest Museum of American Art has received the INDIANA STATE QUESTERS Award for restoring and replacing the upstairs window and keeping the historical interity of the building intact. On Saturday, April 20th, at Conner Prairie, the site of the Spring Covention, the Questers decided that the Midwest Museum of American Art would reive the $3,000 award. The grant was obtained trough the efforts of four Elkhart chapters of Questers – Christiana #3765, HSK & Amy Bartholomew #440, LaSalle-Rosseu #411, and Reminicers #1303. These four chpaters worked together locally to raise an additional $1,550 in support of the project. Questers is an international organization founded in 1944 with over 15,00 members who promote the presevation and restoration of historic projects for future generations. The local Questers have submitted the Midwest Museum for a National Award also. The Midwest Museum of American Art is once again looking for a few good men and women. Docents are volunteers who use the collections at the museum to bring art to life for people of all ages. You may have seen them interacting with a group of school children, leading families and adults on a gallery tour or guiding members of a club through a special exhibtion. The purpose of the Docents at the Midwest Museum is to provide oportunities for the public to enjoy, discover, and learn aout the arts using the museum’s collections and exhibitions. 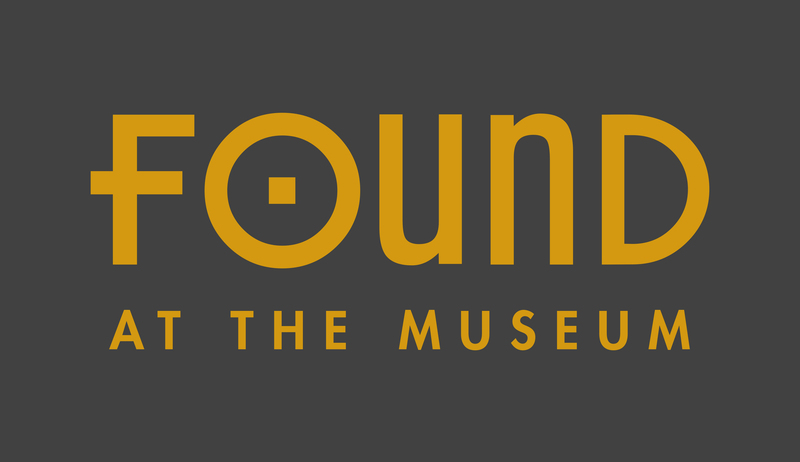 Commited is the key word to use in describing the museum’s volunteer docents. The docents go through 12 months of training studying art hsitory and the museum’s collections. The training also teaches docents to develp interavtive and interdisciplinary skills for working with groups comprised of school children, adults, and families. If you are interested and would like to hear more about our program, please call the museum at (574) 293-6660 and schedule an appointment. All materials included! Enrollment is limited. Students are urged to sign up in advance. Fee is due one week prior to class. Call (574) 293-6660 today! If you missed the acclaimed fim series and leftures on American Art Apprecitation last year, the Midwest Museum will offer viewers an opportunity to see all eight fims from “The American Vision” series during the months of June and July. The 8-part (one hour each) series will begin on and be shown every SUNDAY, beginning June 9th at 2:00 PM. Purchased for the museum’s library & archives, this collection of films takes the viewer on a visual journey through nearly three hundred years of American art history narrated by the eminent Time Magazine creitic, Robert Hughes. This is a FREE series with limited seating each Sunday offered through the Eva Cole Educational Fund. The Midwest Museum of American Art has received two major grants. The Genesis Program of the City of Elkhart awarded the museum $20,000 to support the exhibition and educational programs offered throughout the year. The Martin Foundation awarded a grant of $15,000 for the Midwest Museum’s FAMILY FREE DAY every Sunday of the year. Our sincere thanks to the Martin Foundation and the City of Elkhart for their tradition of support. Tom Grove, Instructor for drawing, watercolor, & printmaking. Patrice Bovo, Instructor for drawing, watercolor, & printmaking. by Mr. & Mrs. William Rose, Jr.